For the last time in its 100-year history, the 2018 US PGA Championship will provide the final opportunity of the season to get a major win on the CV. Next year sees the tournament moving to a new date in May, where it will sandwich itself between the Masters and the US Open and provide an intense four-month major stretch from the beginning of April to the Open Championship at the end of July. 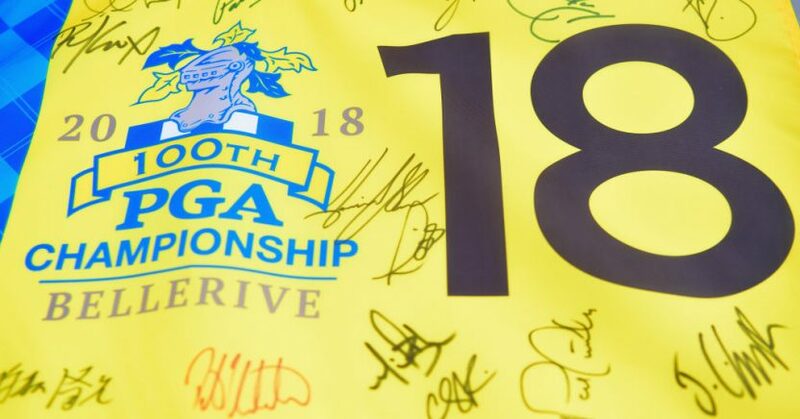 So the winner of the 100th US PGA Championship will get the chance to defend their title just nine months later, or, as is the more likely scenario, only hold the title for that length of time. Either way, the strongest major of the season – in terms of world ranked players – is still regarded as the least significant of the four, and will continue to be so despite its calendar shift. 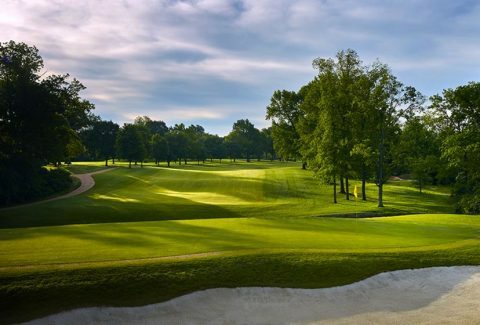 That said, this year’s winner will still be entitled to call himself a Major champion, and pick up a hefty $1.89m winner’s cheque, so the competition for this week’s renewal at Bellerive Country Club in the mid-west state of Missouri will be as fierce as ever. Before we look at the contenders, it’s essential to assess the challenge that Bellerive presents. 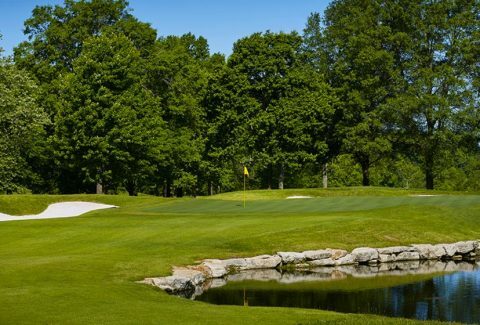 Measuring over 7,318 yards, and with a par of 70, this Robert Trent Jones parkland design is a classic big-hitters track. In fact everything about Bellerive screams big. Big fairways, big bunkers and big greens – although the latter are not as big as they once were. Opened in 1960, the course first stepped on to the major stage in 1965, when it played host to the US Open, where Gary Player won to complete a career grand slam at the age of 29. The US PGA waited another 27 years before deciding to bring its tournament to the club, when Nick Price, one of the best ball strikers in the business, prevailed in 1992. Remodelled by RTJ’s son, Rees Jones, in 2005, the course has patiently waited another 26 years for the PGA to return, and now presents a thoroughly modern test of golf, with smaller greens and deeper bunkers ensuring that the course will challenge today’s bombers. While yardage is one of it key defenses, thick, lush rough, clever and plentiful bunkering, and a judicial smattering of water, will also play a significant role in keeping the scores in check. After a somewhat surprisingly gentle start, the course gets into it stride at the fourth, a 510-yard par four, where anything missing the fairway will make reaching the green an almost impossible task. The par-three sixth, a hole that plays between 190 and 210 yards, could see some early drama, with a pond short right of the tiny green looking sure to see plenty of action. While over at the 10th, a demanding 510-yard par four, will also see alot of players chalking up black figures as they battle with the creek that fronts the raised green. As the round reaches it climax, the challenge is ramped up considerably, with the 495-yard, par-4 15th, followed by the ‘short’ 237-yard 16th, providing stiff tests, while the par-five 17th, which plays between 530 and 600 yards, is certain to play a significant role in the outcome of the championship, with the more forward tee presenting a solid eagle opportunity for the biggest hitters, while danger lurks in the form of a creek that runs alongside the right-hand side of the fairway. The final hole, a 457-yard, gently-curving par four, requires an accurate tee shot to avoid fairway bunkers either side of the corner of the dogleg, while any approach hit short right will be snaffled up a hungry trio of bunkers. Given its set up and design, it’s hard not to see the usual list of suspects cropping up on the top of the leaderboard come Sunday. 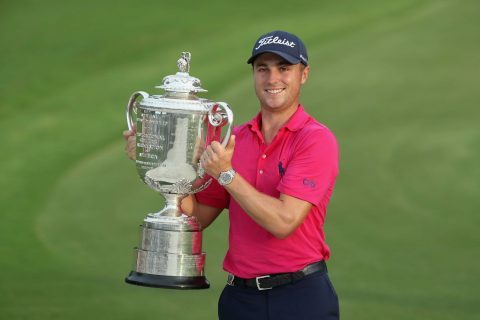 Had defending champion Justin Thomas not won his first WGC event at the Bridgestone last week, it would be hard to look past him as a favourite, but it’s hard to win back-to-back tournaments these days, and even harder when one of them happens to be a major title that you are defending. Either way, Thomas has every right to be a short price given his form and ability, and if the win at Firestone hasn’t taken too much out of him, he looks sure to go well at a course that will suit his immense ball-striking skills. If this track will suit Thomas, then it’s also tailor-made (no equipment pun intended) for Rory McIlroy, whose aerial abilities are without question, with his length off the tee and high ball flight with his irons giving him the weapons to attack the pins with impunity. His failure to convert the handful of winning chances he has had this season remains a concern, but it’s hard to see this dual PGA champion finishing out of the top five if the putter behaves and he manages to avoid the Sunday slumps that have afflicted him of late. 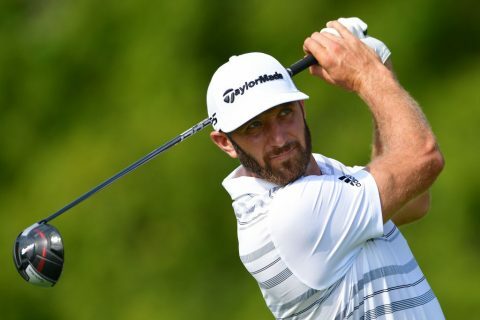 World No.1 Dustin Johnson will also enjoy the conditions at Bellerive, and this consistent winner will also be hard to keep out of the equation should things fall into place. That statement also applies to dual US Open champion Brooks Koepka, who habitually turns up in the events which matter most, and his sneaky top-10 at Firestone shows that he has kept up his form this summer. Another American that appeals at slightly longer odds is 2012 US Open Champion Webb Simpson, who has been quietly going about his business in impressive fashion this season. Having finished 20th at Augusta, 10th at Shinnecock and 12th at Carnoustie, he’s having a great major season and his victory at the Players Championship also marks him out as a form man. A with a Ryder Cup spot place up for grabs – he’s currently in the last automatic qualifying spot – he has all the motivation he needs for a strong showing here. A place in the Ryder Cup team will also no doubt be driving on Ian Poulter, who needs just one more big result to secure his place in the team automatically, or certainly make it hard for Thomas Bjørn to ignore his appeal as a captain’s pick. Enjoying one of the best spells in his 20-year career, the Hitchin man is no forlorn hope for a high finish, although one senses that there will be three or four players too good to deny him a fairytale ending to the major season. Fans of English players will probably be lumping their cash on Tommy Fleetwood, who would certainly not be winning a Major out of turn, and the likeable Lancastrian will sure to enjoy plenty of support, both financial and spiritual, from punters on this side of the pond. 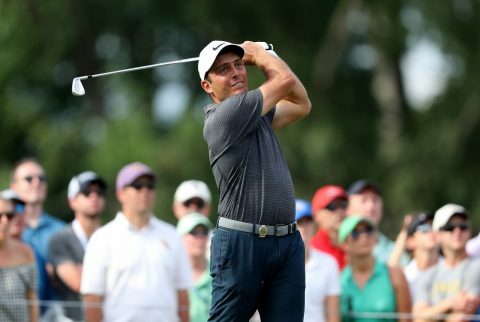 And let’s not forget the reigning Open Champion, Francesco Molinari, who enjoyed his then best finish at a major when taking second behind Justin Thomas at last year’s US PGA Championship. His odds of going one better cannot be discounted. 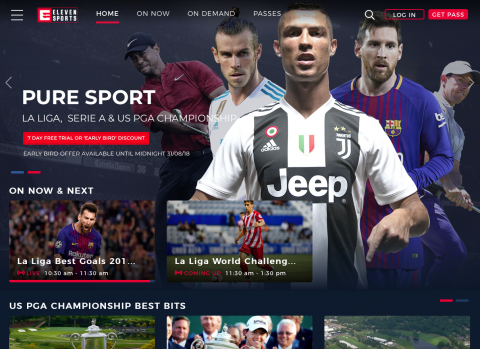 Regardless of who you want to win, the only way you’ll get to watch the tournament, if you’re not there in person, is to watch it on Eleven Sports, a subscription-based live streaming channel. While it costs £59.99 for an annual pass (£49.99 if you sign up before the end of August), or £5.99 per month. Golf fans can watch the first two rounds for FREE by logging on to the Eleven Sports Facebook page, which will be streaming the first two days’ action, or, if you want to watch all four rounds you’ll need to sign up to a free seven-day trial, after which you’ll need to cancel it in order to avoid paying the £5.99 monthly fee. For more details, visit www.elevensports.uk.